The WWE Survivor Series 2017 pay-per-view will take place on November 19, 2017 at the Toyota Center in Houston, Texas. Follow along here for spoilers and information on the event's card, lineup of matches and news regarding the pay-per-view. Here are my predictions for the 2017 WWE Survivor Series PPV. Check back for Survivor Series 2017 results and review coverage here. 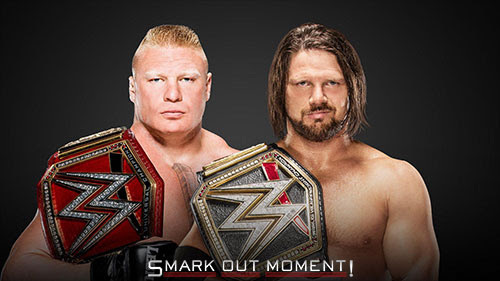 Styles poses a much better chance against Lesnar, but he still isn't going to win. Sorry, everybody. WWE's mentality is going to be "keep Lesnar strong until WrestleMania" and he's not losing a single match in the meantime. At least this match is going to be significantly better than the one with Jinder Mahal would have been. PREDICTIONS: Lesnar wins, for sure. Quite the upgrade from the Natalya match, right? This could be pretty interesting, as the easy call to make is for Charlotte to win since she's the babyface, but Alexa is someone who could get a random cheat victory to balance out the scale if Raw needs another win. It's kind of a toss-up, and even though I'll be betting on Charlotte, I wouldn't be surprised at all if I'm wrong. The match itself could be pretty good, too, but I'm not expecting a five-star classic. In any fashion, this is exactly the type of Raw vs. SmackDown scenario that is creating buzz, so it's working for me. 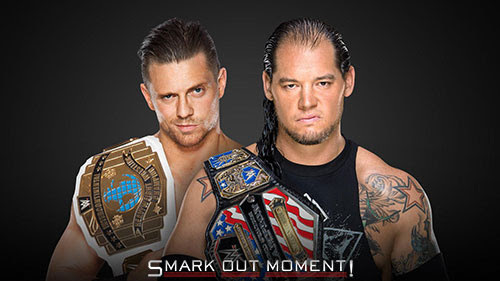 The Miz makes it a point to be a cowardly heel while Corbin doesn't do that quite as often. He's the bigger of the two and I think SmackDown can't lose all of these, so he could very well be the only one to get the victory for his side. This kind of depends on who is going to win the tag team champions match, though. I still think Corbin has the edge, but it could change. I've warmed up to this match quite a bit. There's something C-level about it that I like a lot. 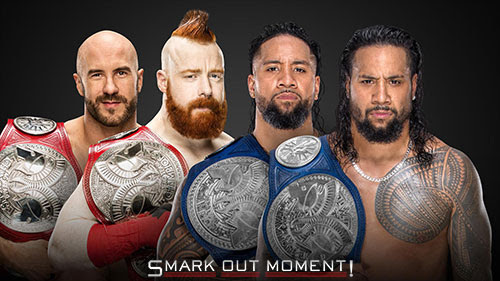 Even though it's not the same as Ambrose and Rollins against The Usos, this feels more comparable, since it would have definitely been a Shield victory in that other scenario. This could go either way. I'm starting to think that The Bar have this one in the bag, but it's really a toss-up, and the potential of it going either way coupled with how I feel like these tag teams will try their hardest to steal the show means this could be a surprise hit. PREDICTIONS: Sheamus and Cesaro win. This match changed so many times that I've lost track of it, but the final teams look pretty damn sweet, don't they? John Cena, Triple H, Kurt Angle....everybody else....this is pretty nuts. The build for this has been great, too, albeit chaotic and frustrating for me having to change everything a million times. I'm expecting Kane to show up to interfere and cost Braun Strowman an elimination due to count out or something along those lines, and there's also a chance Jason Jordan does something here, or Kevin Owens and Sami Zayn. Hell, there's a chance Bray Wyatt does, too. The possibilities are endless. I'm pumped. PREDICTIONS: Team SmackDown gets the win if Kevin Owens and Sami Zayn don't interfere. If they do, then they cost the blue brand and Raw wins. The final member of Team SmackDown is left to mystery, which makes me think it's not going to be Natalya, but rather, either Nikki Bella or Paige. My guess is Paige, but no matter who it is, I don' don't think it's going to matter. This is Asuka's time to shine. There will be back and forth eliminations, possibly, but the bottom line is that Asuka will wreck, and there's a good chance that WWE even books one of those matches where SmackDown beats everybody except for Jax and Asuka and the two of them fight back 5-2, then Jax gets eliminated and Asuka takes out the final two or three to win for the team. Update: It's just Natalya. Womp womp. Why not just announce that Tuesday? PREDICTIONS: Asuka is the sole survivor and wins for Team Raw. There's absolutely no way Kalisto wins the title back. They only had him win the belt temporarily for the shock. This is Enzo's to keep until probably after WrestleMania. I'm rooting for The New Day, even though I know that's not going to happen. This is a match that The Shield is being much more heavily promoted for, and since it's their true reunion that we didn't get at TLC, I can't possibly expect anything to happen other than a win for The Hounds of Justice.